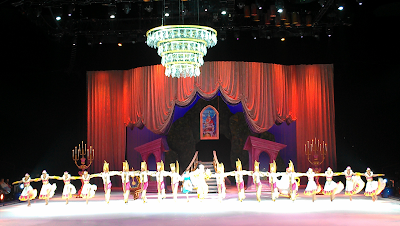 Being Frugal and Making It Work: Another Rockin' Afternoon in the Memory Books - Disney On Ice: Rockin’ Ever After! Another Rockin' Afternoon in the Memory Books - Disney On Ice: Rockin’ Ever After! 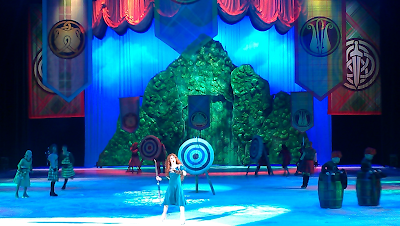 This afternoon my family had a wonderful and magical time at Disney on Ice! The entire performance was simply AMAZING and nothing but magical! Our seats were fantastic - up close and center stage - and we had a fantastic view of the entire performance. 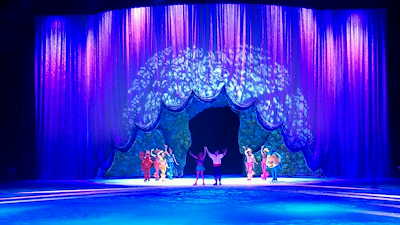 Disney on Ice is something that my family looks forward to attending each year, especially my daughter, and something we have done for the past eight years. This year's theme is Rockin’ Ever After, and my daughter was rockin' in her seat the entire show! In previous years our seats have always been on the sides of the rink, but this year we were front and center! It was great to see the performance from a new perspective. The music, costumes, props and choreography were simply AMAZING! The grace and agility of all the performers was simply phenomenal. I wish I had a pinch of their talent! The main stories at the show were The Little Mermaid with Ariel, Tangled with Rapunzel, Beauty and the Beast with Belle, and Brave with Merida! Every little girl dreams of being like on of the beautiful princesses, and you could feel the magic and excitement! 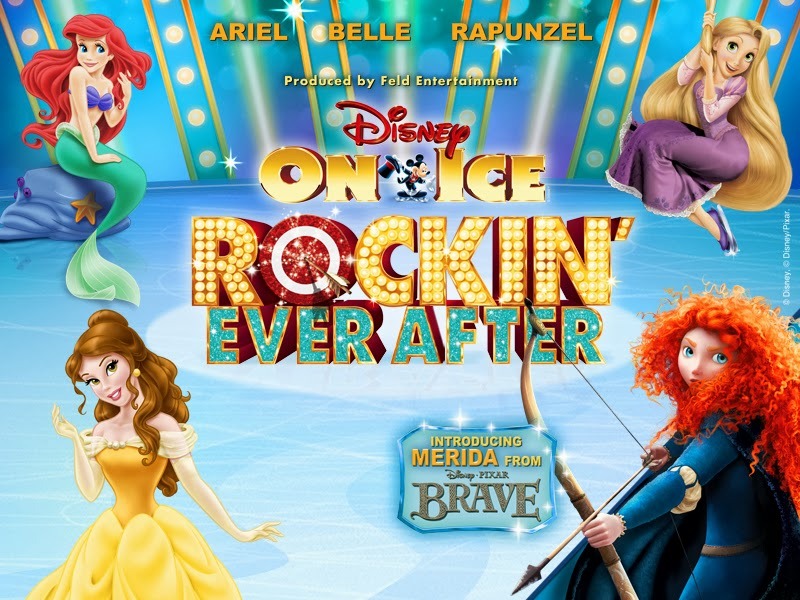 Get ready to rock out with some of the most magical idols of all in a musical showcase that features the hottest tunes and talent from across the kingdom in Disney On Ice presents Rockin’ Ever After! Jam to a Scottish jig as a group of royal contenders from the latest Disney/Pixar film, Brave, competes to win the heart of headstrong, sharp-shooting Merida, making her ice debut! Experience a show-stopping performance as Sebastian breaks out of his shell for one night only to make waves with Ariel. A chorus of harmless hooligans from Tangled unleashes musical mayhem when they get a visit from the sassy and spirited Rapunzel and her charming ally Flynn. And, get your feet moving as the Beast and his castle’s enchanted entourage take center stage in a spectacular show for Belle. The Being Frugal and Making it Work family received complementary tickets to the show from Feld Entertainment, in exchange for my review. All thoughts and opinions are my own. Boo went this year with her friends and she loved it. My favorite character is Belle. My family loves live theater. We have not yet been to a Disney on Ice show yet but we are looking forward to it. I remember going to see the Smurf's on Ice when I was 7 and loved it. 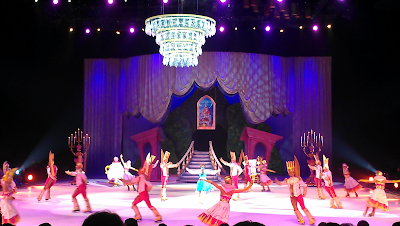 I think my girls will be thrilled to see the princesses twirling around too... such a magical performance! I would love to take my grandchildren to see Disney On Ice. I haven't been for several years. I love Tangled and would love to see this. I love ice skating! This looks like so much fun. That looks really fun. I remember going to Disney on Ice when I was a little kid. 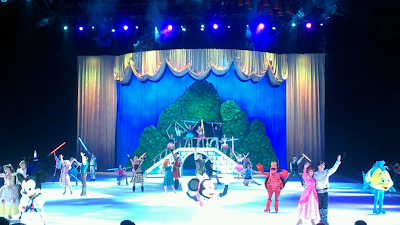 I have taken my kids to many Disney shows but never Disney on ICE! I think I should invest this year! Looks like lots of fun! My husband took our daughter to this for a daddy-daughter date this year. My daughter loves Disney on Ice and has attended several of the shows since her birthday is usually within a couple weeks of the show here in Spokane. That looks like a ton of fun for the whole family. I'd love to bring my kids there sometime. Thanks! I haven't seen Disney on ice since I was a little girl. I remember loving it so much! I'd really love to go again. Thank you for these lovely pics! We saw this show when it came to our area. My little one still talks about it and it was months ago. I love the Disney on Ice shoes. My kids always loved Disney on Ice!! looks like a fun time! OMG! So jealous, we wanted to get tickets to this on like groupon, but it was during the week that we were packing/moving, we were so sad, the kids would of loved this. Shoot, I think my husband & I would love it more..
Must be a one rockin day for you guys. I love this show. 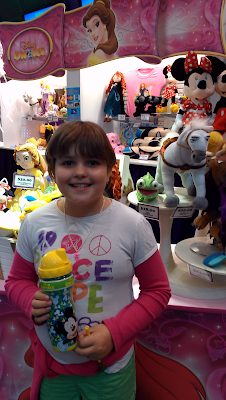 Disney on ice was the best ever shows me and my kids watched when Disney on Ice visited Pittcburgh. I haven't been to a show like that yet but tomorrow we're going to the circus! Me and my family love Disney. I hope that I can see it sometime. 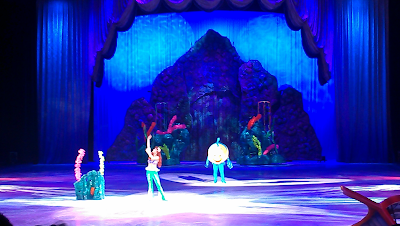 I love the Disney on Ice shows. They're so fun and the costumes are beautiful.